***Watch this quick preview video to see the PowerPoint in action! This teaching resource is quite the virtual experience! 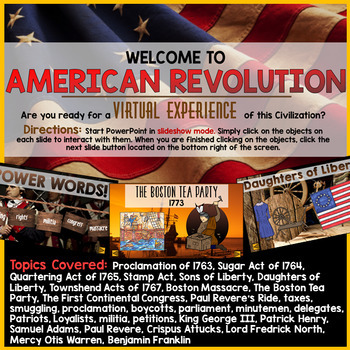 This Early American / United States History PowerPoint can be used as a powerful classroom presentation or students can click their way through it! 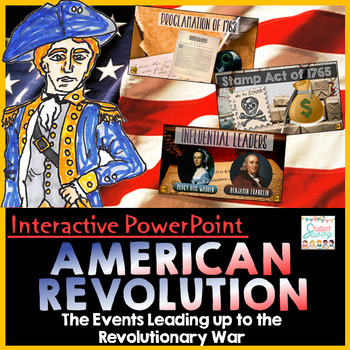 This resource is aligned with American Revolution - Events Leading up to the Revolutionary War Interactive Notebook I would highly recommend using this resource along with the PowerPoint but it is optional. The Powerpoint is a stand-alone resource. 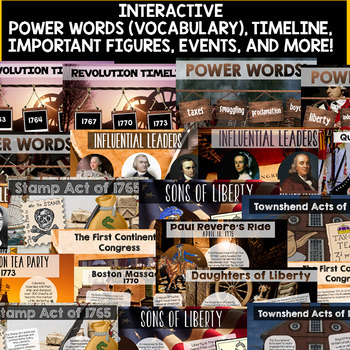 This resource is designed for an Early American / United States history unit. 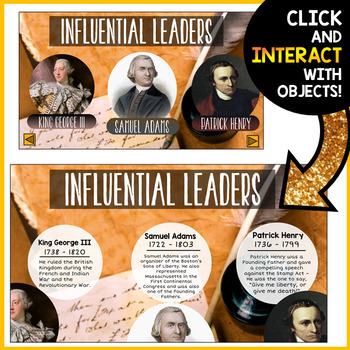 Find the rest of the US HISTORY INTERACTIVE POWERPOINT SERIES here! You may also enjoy Interactive Notebooks - ALIGNED with the Interactive PowerPoints!